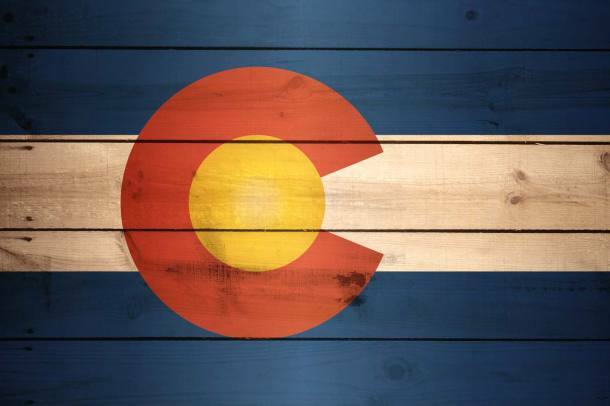 Denver, Colorado is no doubt the largest music hub along the Front Range, but now with tons of music pouring out of every corner of the state, Colorado as a whole is on the radar of talent buyers and record label executives across the country. With the multitude of bands popping up around town, we wanted to give you a little direction when it comes to finding new music from the box state. Below (in no specific order), are a few Colorado bands we think you should know AND Support. Why you need to know him: Chances are that if you dont know who these guys are yet than you aren’t into the Denver music scene. They have been building a reputation around town as a noise-filled concoction of heavy delays, cathedral style reverb, groovy guitar harmonies, and soaring vocals. Think Radiohead mating with Deerhunter while having an affair with Grizzly Bear and Animal Collective. Hands down my favorite Denver band right now..
Why you need to know them: These guys party hard and rock even harder. Their shows generally involve lots of drinking, illegal fireworks, mosh pits, and more drinking. What more needs to be said? Why you need to know them: These dudes are a no frills, in your face, two-piece rock and roll band. If Rage Against the Machine and Queens of the Stone Age had a baby it would be In the Whale. Heavy, distorted, loud, and occasionally on the brink of metal, old school rock and roll. Why you need to know them: A band that all of Denver seems to be talking about lately, Inner Oceans only have three released songs but have already played SXSW and Red Rocks. Their sound is full of ambient synthesizers, dream pop vocals and guitar licks that put this band in a league of their own. Why you need to know them: Colorado’s indie-pop scene has been transformed by the happy-go-lucky music of South of France. The way Jeff Cormack and Kelly Lueke battle for lead vocalist keeps every song interesting and new. If you like sad music this band isn’t for you, but if you enjoy life and whimsical tunes than you need to check this band out. Why you need to know them: Only one year in the making, Sunboy burst onto the Denver scene sprinting, having already played some of the best venues in town with plans to keep that streak going. The music is full of psychedelic synthesizers, soaring vocals, enchanting sound effects, and glistening electric guitars. In my opinion, they are Denver’s own Tame Impala so expect big things from these guys. Why you need to know them: A four-piece rock & roll band, Wild High holds nothing back as they smack you in the face with crunchy guitars riffs, trippy vocals, and incredible bass lines. It’s astounding to see how well composed and together these guys are on stage when you factor in that they have only had their current lineup for one year. Why you need to know them: Something about Codec brings back childhood memories and visions of the future all in one riff. Road trips through the mountains and images of a post-armageddon Earth are what come to mind. They guys are what “music evoking thought” is all about. Why you need to know them: Ark Life has been blowing up in the CO music scene as of late, and for good reason. They bring a new refreshing sound, full of catchy tunes and soulful vocals. Why you need to know them: Progression is the key to success, and Rachel & the Kings have managed to maintain their momentum throughout the past few years. Back in 2012 they won Ford’s Gimme The Gig contest which afforded them the opportunity to record with Grammy winning producer Don Was. Why you need to know them: It doesn’t matter whether the Epilogues are on stage or on vinyl, their sound is practically flawless. When you see their name on the marquee, you know it’s going to be a show you won’t forget. These dudes rock! Why you need to know them: Hitting play on one of You Me & Apollo’s songs for the first time will have you scouring through their music catalog looking for more hits. Why you need to know them: When these guys are playing on your campus, you don’t just pass them by. You stop, your body starts moving to the rhythm, and you forget you’re running late to class. Just one more song! Why you need to know them: You might know Navy’s drummer from his former collective, Churchill. Regardless of whether you do or don’t, this new contingent, made up of Dan Craig, Joe Richmond, and Nathan Meese know how to rock a damn crowd. Their stage presence demands every patrons full and undivided attention from every ounce of their consciousness. Seeing them live is a must. Why you need to know them: Putting a fresh face on the folk rock movement that surged a couple years back, this three-piece band from Fort Collins can hang with the best of ‘em. You have to be crazy not to enjoy a slide guitar, gravely vocals, and walking bass lines. For best results, listen to this band while drinking whiskey and smoking cigarettes on a porch. Why you need to know them: Everybody needs a little metal music in their life, regardless of if they know it or not and there is no better metal band in all of Colorado than Speedwolf. They have one of the most energy-packed live shows I have ever witnessed and never fail to deliver anything short of a spectacular live performance. With only one album out, they have already toured across America and Europe and show no signs of slowing down. Their sound is a true modern day resurgence of 70s and early 80s metal music. Why you need to know them: An experimental rock-pop group based in Denver, guided by the cosmos, mentored by the Mars Volta’s very own Isaiah Owens; these guys are far from normal but their left-field approach to making music is nothing short of spectacular. Why you need to know them: Bringing a refreshing feeling back to the Mile High City with their swelling guitar melodies and airy vocals, Shady Elders are making sure shoegaze is alive and well in Denver. Fox Rodemich’s singing paralyzes you and puts you in a dream like state while vibrato soaked guitars swirl around your brain. Think Beach House but less psychedelic and happier. Why you need to know them: Rumours Follow just might be that next breakaway band out of Colorado. When you listen to their music, it’s impossible to conjure thoughts of how any single song could have be better than what it is. These guys are either perfectionists or magicians. Why you need to know them: ????????????????? We’ll be adding the last band to this list at the end of the month. Who do you think it should be? Who do people need to know? I nominate my band The Vanilla Milkshakes. We’re interesting people who are interesting. Ian Cooke is a good choice. But where’s Glass Delirium? They always have a great show no matter the venue.